A unique challenge came to us via referral from a longtime client, and we accepted with gusto. This church-turned-home, however stunning, was in need of repairs and preservation. 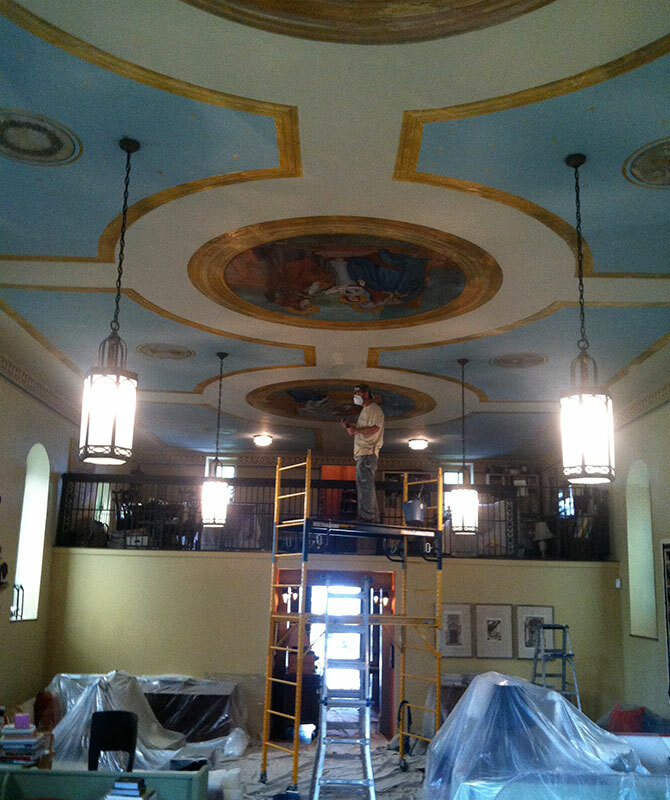 After gutting the entire foyer and addressing some lingering water damage, we restored the whole of the ceiling, including a mural, to its original beauty. Our team successfully matched colors to the existing ceiling work, and applied them from a position of 15 feet off the ground for the weeks-long project. It was a painstaking, rewarding process. As it turned out, our good work started a chain reaction of referrals. 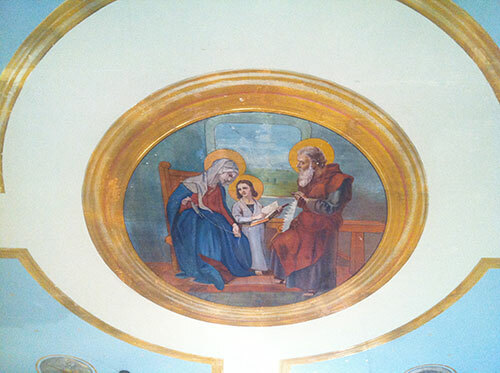 The client has since recommended Odell Painting within her own personal network. We are lucky to count the owner of the Upper Black Eddy home as a good friend of ours, too.